Emirates Group, which include Emirates Airline and its ground handling and ticketing arm Dnata, today reported a 77 per cent jump in net profits to Dh2.3 billion (US$631 million) for the first half of the 2017-18 financial year, starting from April 1, 2017, up from Dh1.3 billion (US$364 million) recorded in the first half of its last financial year – in what is perceived to be a tight market condition. Emirates Group revenue rose only 6 per cent to Dh49.4 billion (US$13.5 billion), up from Dh46.5 billion (US$12.7 billion) reported for the same period last year. The group’s profit margin grew 4.7 per cent during the period, up from 2.9 per cent reported in the same period last year. Emirates fired more than 3,000 employees over the last six months, in order to optimise operation and boost profitability – resulting in 77 per cent jump in net profits on just 6 per cent growth in revenues. “In the past six months, the Group’s employee base reduced by 3 per cent compared to 31 March 2017, from an overall staff count of 105,746 to 102,669. This was largely a result of natural attrition together with a slower pace of recruitment, as various parts of the business adopted new technologies, streamlined business processes and re-allocated resources,” the airline said in a statement. The Group’s cash position on 30th September 2017 was at Dh18.9 billion (US$ 5.2 billion), compared to Dh19.1 billion (US$ 5.2 billion) as at 31st March 2017. 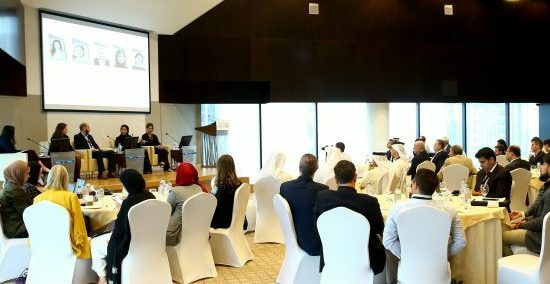 Sheikh Ahmed bin Saeed Al Maktoum, Chairman and Chief Executive, Emirates Airline and Group said: “A lot of the credit for our 2017-18 half-year results goes to our talented workforce who have worked hard to improve our business performance, and address our challenges without compromising on quality and service. Emirates Airline – the world’s largest passenger carrier – reported 111 per cent jump in net profits for the first half of the year to Dh1.65 billion, up from Dh786 million in the corresponding period last year while revenues grew only 6 per cent to Dh44.5 billion, up from Dh41.9 billion. Emirates Airline carried 29.17 million passengers during the period, which is 4 per cent higher than the 27.9 million passenger carried by the airline in the corresponding period last year. Emirates with a fleet of 264 wide-bodied aircraft at the end of the first half if the current financial year had 2 per cent more capacity compared to the fleet size of 259 aircraft in the first half of 2016. As of 30 September, Emirates’ global network spanned 156 destinations in 84 countries. “This result was driven by capacity optimisation and efficiency initiatives across the company, steady business growth, and a more favourable foreign exchange situation compared to the same period last year,” Emirates said in a statement. “The Group saw steady revenue growth and a rebound on profitability compared to the same period last year, in spite of the continuing downward pressure on margins, a rise in oil prices, and other challenges for the airline and travel industry. During the first six months of 2017-18, Emirates received 10 wide-body aircraft – 4 Airbus A380s, and 6 Boeing 777s, with 9 more new aircraft scheduled to be delivered before the end of the financial year. It also retired 5 older aircraft from its fleet with further 4 to be returned by 31 March 2018. The volume of cargo uplifted at 1.3 million tonnes is up 5 per cent while yield improved by 8 per cent. This solid performance speaks to Emirates SkyCargo’s recent investments in products and services tailored to key sectors, and is also a positive sign of a gradual recovery in the global air freight market. In July, the airline announced a partnership with flydubai, leveraging both airlines’ complementary networks to open new city-pair routings for customers, and optimise operations at Dubai International airport. Emirates also announced it will extend its successful partnership with Qantas for a further five years in tandem with joint network adjustments that will offer travellers more connectivity and flight choices to and from Australia and New Zealand. On average, fuel costs were 14 per cent higher compared to the same period last year, this was largely due to an increase in oil prices (up 11 per cent compared to same period last year), as well as an increase in fuel uplift of 3 per cent due to Emirates’ expanding fleet operations. Fuel remained the largest component of the airline’s cost, accounting for 26 per cent of operating costs compared with 24 per cent in the first six months of last year, Emirates said. Overall capacity during the first six months of the year increased a modest 2 per cent to 30.8 billion Available Tonne Kilometres (ATKM). Capacity measured in Available Seat Kilometres (ASKM), grew by 3 per cent, whilst passenger traffic carried measured in Revenue Passenger Kilometres (RPKM) was up 5 per cent with average Passenger Seat Factor rising to 77.2 per cent, compared with last year’s 75.3 per cent. Emirates Group company Dnata saw steady growth across its global businesses which now span 84 countries. In the first half of 2017-18, Dnata’s international operations accounted for over 67 per cent of its total revenue. Dnata’s revenue, including other operating income, is Dh6.3 billion (US$1.7 billion), a 7 per cent increase compared to Dh5.9 billion (US$1.6 billion) last year. This performance was underpinned by robust organic business growth, particularly in its international airport operations business with its previous cargo and ground handling acquisitions contributing to the 2017-18 half year performance. Overall profit for dnata is up by 20 per cent to Dh659 million (US$180 million). This was driven by Dnata’s continued focus on extracting operational, process and cost efficiencies across all business streams, and supported by strong performances from both its international and UAE airport operations divisions, with new customers won and the expansion of existing contracts. Dnata’s airport operations remained the largest contributor to revenue with Dh3.4 billion (US$922 million), a 9 per cent increase compared to the same period last year. Across its operations, the number of aircraft handled by dnata increased by 11 per cent to 330,317, and it handled 1.5 million tonnes of cargo, up 25 per cent. 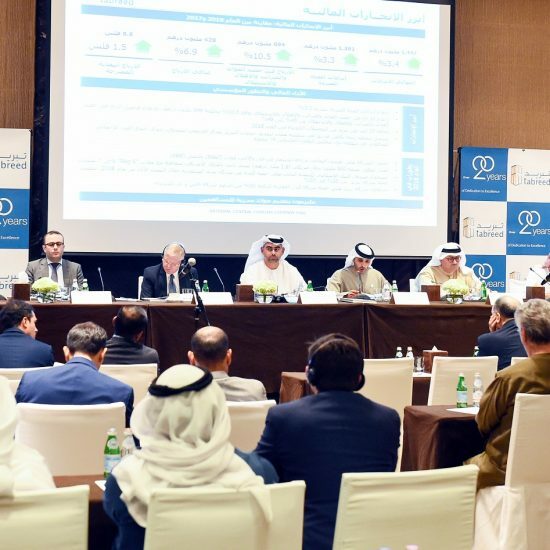 Dnata’s travel division contributed Dh1.5 billion (US$420 million) to revenue, up 3 per cent from the same period last year. The division’s underlying net sales remained stable at Dh5.5 billion (US$ 1.5 billion).